Here are a few Linux Interview Questions for you! Download more High Quality Linux Interview Questions! If you work on a computer system, you must be familiar with the word ‘OS' or ‘Operating System'. Also, you must be familiar with the terms ‘Windows'. Like Windows XP, Windows 7, Windows 10, and Mac OS X, ‘Linux' is too an operating system. An operating system is a software that administers all the hardware resources associated with a desktop or laptop. In simple words, the operating system mediates the communication between your software and your hardware. Without an operating system, the software wouldn't function. Linus Torvalds began working on Linux as an alternative to the MINIX OS while at the University of Helsinki, Finland. Torvalds recognized the work done on the GNI Project in 1983, which intended to create a complete, Unix-compatible OS comprised entirely of free software & noted the GNU as a model for distribution. However, the work on GNU wasn't complete by the time Torvalds sought for a MINIX replacement, which prompted him to develop an alternate OS Kernel dubbed Linux - a shortened version of "Linus' Unix". These are background services such as printing, sound, scheduling, etc. that start either at boot time or after logging in to the system. This is the core of a system and manages the CPU, memory, and peripheral devices. The Linux command line or the shell is a command process that allows you to control the computer via Unix commands typed to a text interface. But this is no longer the case as there is no need to touch the command line with modern desktop Linux. A software product that manages the computer’s booting process. Desktop environments generally do not offer all apps. But users can find and download apps of their choice from the App Store just like Windows and Mac. For example, Ubuntu Linux users can download applications from Ubuntu Software Center. This is the piece of the OS that a user interacts with. Each desktop environment includes a set of built-in applications (such as file managers, configuration tools, web browsers, games, etc.). Some examples of available desktop environments are Unity, GNOME, Cinnamon, Enlightenment, KDE, XFCE, etc. How can Linux be differentiated from other Operating Systems? Linux is somewhat similar to other operating systems you might have used before, such as OS X, iOS or the Windows. Like other operating systems, Linux too has a graphical user interface. The types of software just like other operating systems have, such as the word processing applications. But Linux is different from other operating systems in many ways. First and foremost, Linux is open source software. The code used to create the OS is always free and available to the public to view, contribute and edit. Secondly, although the core pieces of the Linux OS are generally common, there are quite many distributions of Linux, which include different software options, which implies Linux is incredibly customizable. Linux users can also choose core components, such as the system displays graphics and other UI components. UNIX is an operating system developed in 1971. Linux and UNIX are similar in many ways. Linux was at first crafted to be similar to UNIX. Both have similar tools for interfacing with the systems, file system layouts, programming tools, and other vital components. However, UNIX is not free. Many operating systems have been created over the years with an attempt to be ‘Unix-like' or ‘Unix-compatible', but Linux is most appreciated for eclipsing its predecessors in popularity. Linux has many subsidiary versions. These versions are known as ‘Distributions'. Almost every distribution of Linux is feasible for download for free, burning onto a disk or USB, and installation on as many machines as you wish. Each distribution has somewhat different functionalities. Some opt for very modern user interfaces, whereas others choose a more traditional desktop environment. Of the above server distributions, Ubuntu Server and CentOS are free. Whereas, you need to buy Red Hat Enterprise Linux and SUSE Enterprise Linux in order to use them. Those with an associated price also include support. Some of the many Linux Interview Questions listed below will help you get an idea about what questions gets asked in such jobs related to Software Engineering & Tech. Get through the Linux Interview bar with our selected Linux Interview Questions for all Linux enthusiasts! 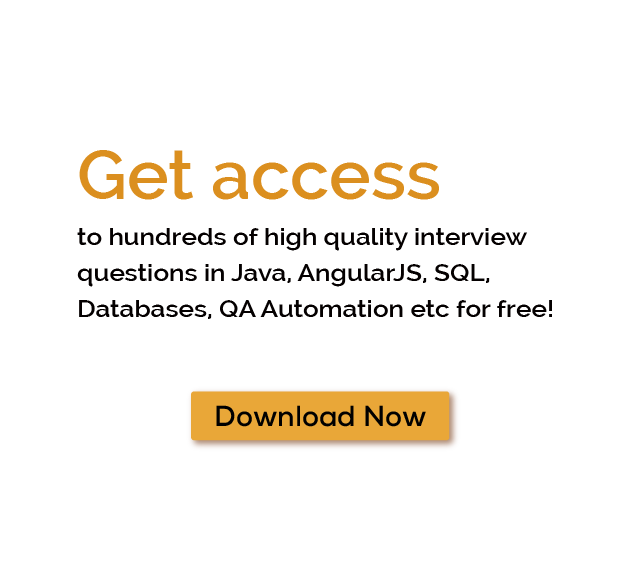 For thousands of similar Linux Interview Questions login to our Website or download EduThrill. Experience the thrill of challenging people around the world on Linux Interview Questions!